Instruction and recipe book for Panasonic SD-254 and SD-255 bread maker ovens. 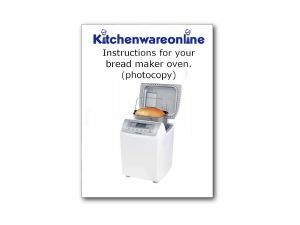 Photocopy user instruction and recipe book for Panasonic SD-254 and SD-255 bread maker ovens. Speedy delivery, clean and clear instructions.